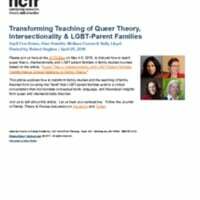 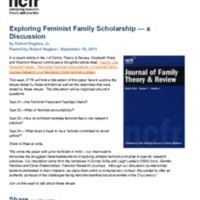 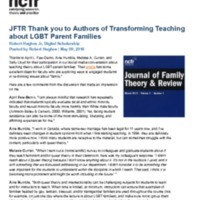 The Journal of Family Theory & Review invites you to join us here at the JFTR Blog on May 4-6, 2016 to discuss how to teach queer theory, intersectionality and LGBT-parent families in family studies courses. 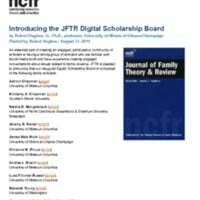 "this special issue provides illustrations of how the vibrant interpretivist tradition can pursue paradoxes, contradictions, and nuances via careful decisions about epistemology and careful designs of congruity between epistemology and practice." 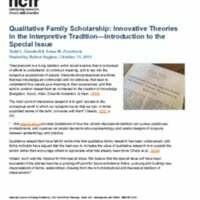 As part of the special issue on qualitative family scholarship and innovative theories in the interpretive tradition, this article first examines the intersection of Buber's philosophy with the interpretive tradition in social science research. 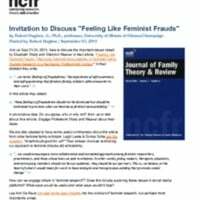 Invitation to Discuss "Feeling Like Feminist Frauds"
An essential part of creating an engaged, participatory community of scholars is having a strong group of scholars who are familiar with social media tools and have experience creating engaged conversations about issues related to family science. 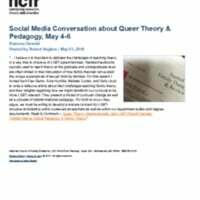 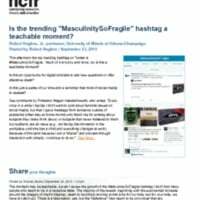 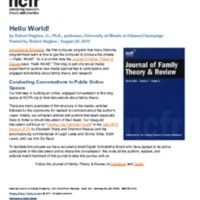 This blog is part of a social media experiment to explore new media approaches to participatory and engaged scholarship about family theory and research.